I have a pair of art deco earrings with black onyx, carnelian and prong set marcasite. 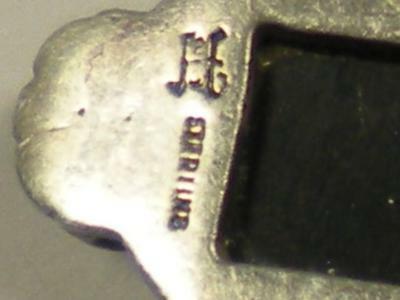 They are marked Sterling along with the "H" hallmark pictured. It almost looks as though there are numerals in the H but I can't quite make them out.